Julie is a single mother who subsists on Centrelink payments. She was recently involved in a family breakdown and suffers from mental health issues. She has had her Centrelink reduced and as a result of extreme financial hardship relies on multiple payday loans. 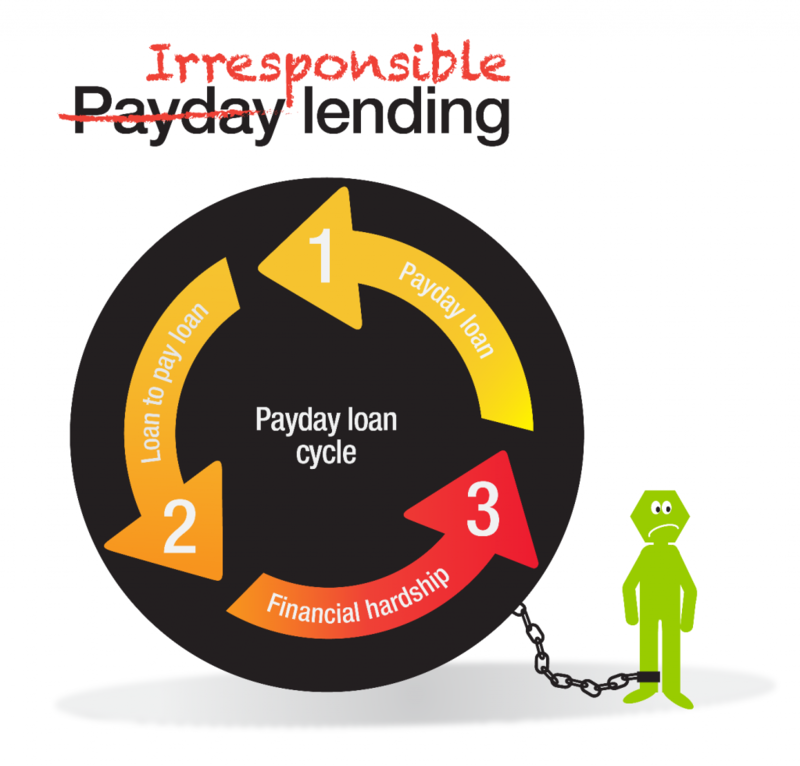 Between February 2013 and October 2014 Julie entered into 20 loans with various payday lenders. Seventeen loans were from a single lender, with 12 of these loans provided while Julie was a debtor in two or more other payday loan contracts within the previous 90 days. Julie was unable to make repayments without suffering significant financial hardship. Lender 1 – Lender 1 advanced a ‘loan’ of $270.48 to our client plus an establishment fee of $13.50. The net amount of $270.48 was allegedly paid by cheque. The cheque is then exchanged by an associated business for a cheque cashing fee of $70.48. The result is that $83.90 is taken in fees. Lender 2 – Lender 2 provided Julie with $200.00, but she was charged an additional establishment fee of $10.00 and interest of $3.68. Should Julie wish to be paid ‘cash today’, then a cheque cashing fee may be charged. If a cheque cashing fee is not charged, this loan structure appear unprofitable and unsustainable, unless the client defaults on the loan. Lender 3 – Lender 3’s contract stated that the term of the loan is 16 months, but the lender arranged for debits from Julie’s account at a rate that ensured that the loan was repaid within four months. By restructuring the loan in such a way, Lender 3 was able to charge 16 months’ worth of fees but recover them in only 4 months.